Blair Senior Services, Inc. offers convenient and affordable door-to-door transportation to Blair County residents through our fleet of thirty shared-ride vans. This is one of our most popular and rewarding programs, with more than 120,000 trips provided each year! Anyone can ride in our vans, regardless of age, and some programs help pay for transportation for certain individuals under age 60. Consumers age 60-64 are eligible for funded trips to medical appointments and federal buildings, such as the Social Security office. Consumers, age 65 and older can use the vans for any purpose, such as shopping, errands, visiting friends, and medical appointments. And, best of all, the Pennsylvania Lottery funds 85% of the fare for consumers 65 and older, while Blair Senior Services, Inc. shares part of the remaining 15% of the cost for most trips. Trips must be scheduled 24 hours in advance. When you schedule a trip, be prepared to give the date and time of the appointment, the destination, and whether you need a return trip. Please call our Transportation office at (814) 695-3500 or toll free at 1-800-458-5552 to schedule a trip or get rate information. Our office is open Monday through Friday, 8:00 am to 4:30 pm. 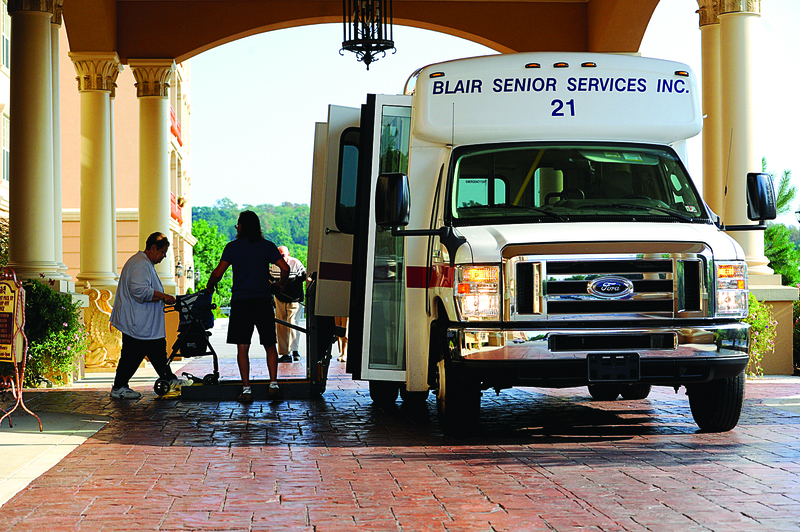 Transportation Services at Blair Senior Services, Inc.
Blair Senior Services, Inc. offers door-to-door transportation to Blair County residents. Anyone of any age can ride the van. Some programs exist to help pay for transportation for those under age 60. Funded trips for residents between the ages of 60-64 are limited to medical appointments and federal buildings, such as the Social Security office….